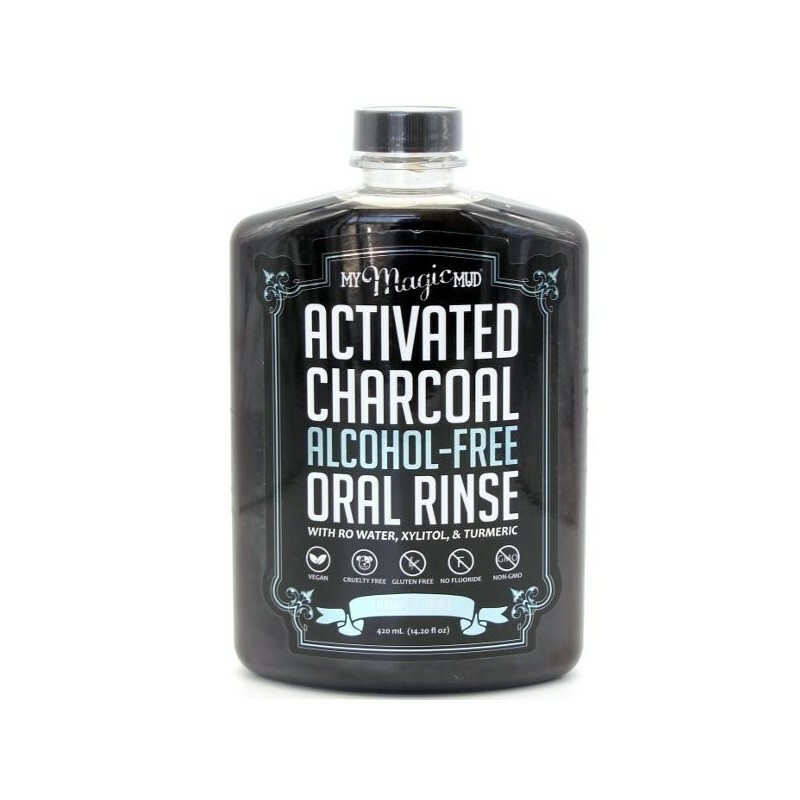 Made with activated charcoal, xylitol and tumeric, this oral rinse freshens breath and keeps your pearly whites healthy. Alcohol free, vegan, gluten free, with no fluoride. Draw out toxins and impurities from your mouth every day. Classic Mint flavour. 420ml. Choose oral products that are free from synthetic chemicals. Never tested on animals, cruelty free. Take a swig after brushing and rinse for 30-60 seconds. Don't swallow. Charcoal may settle, shake bottle well before each use. 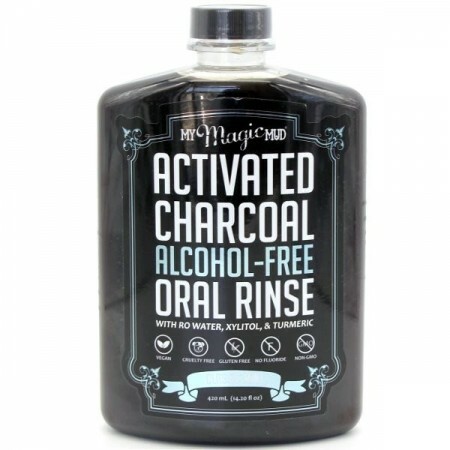 Reverse Osmosis Water, Non-GMO Xylitol, Aloe Barbadensis (Organic Aloe Vera Juice), Sodium Bicarbonate, Organic Peppermint Flavour Powder, Organic Fulvic-Humic Acid Trace Mineral Complex, Corcuma Longa (Organic Turmeric Extract), Menthol Flavour, Vitamin C, Nisin, Natamycin, Activated Coconut Shell Charcoal. 420ml. 10cm x 5cm x 16cm. Taste great, no chemicals! Cute bottle! Funny colour but great product! Once you get past the colour (brown) you find that this product is pleasant tasting and effective.